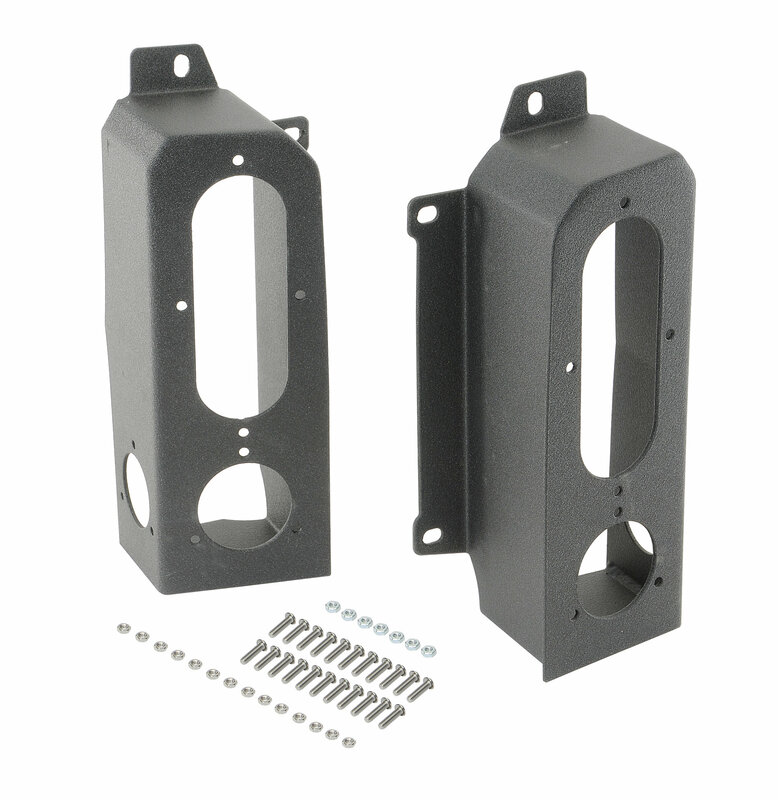 beefy housings are constructed of 3/16 steel in your choice of bare steel or black powder coated finish. 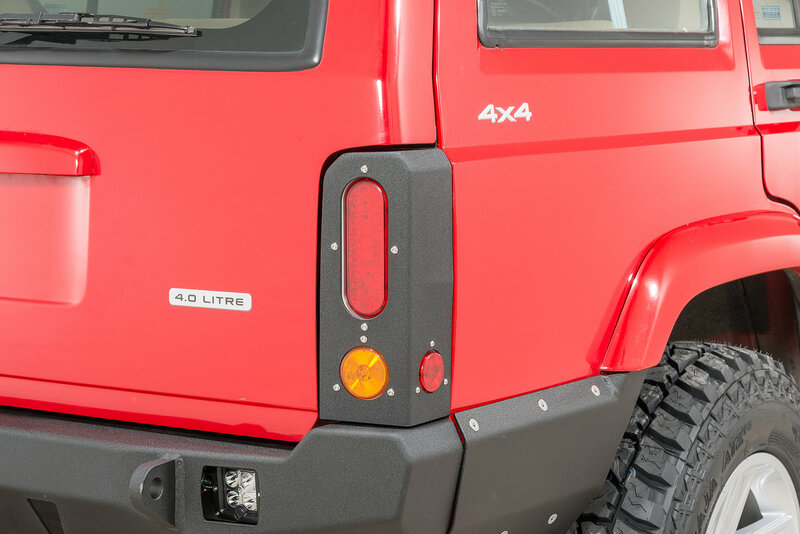 Heavy duty tail light housings are designed to work with LED lights (sold separately). LED light do not line up to holes in housing but easily fixed. 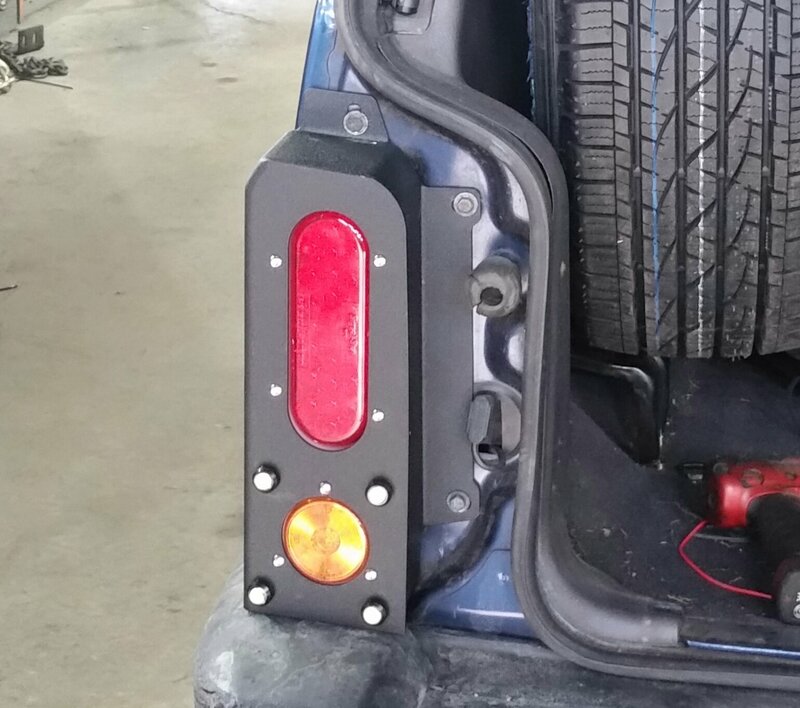 Housing is not equipped for reverse lights. Bought some "peanut" LED white lights and drilled out appropriate holes. Housing do not sit completely flush to body. Mounting tabs do not line up 100% either. Any issues were easily corrected with a little elbow grease. Will still need to replace rely to a EP27 to correct the fast blink issue. Very poorly made. 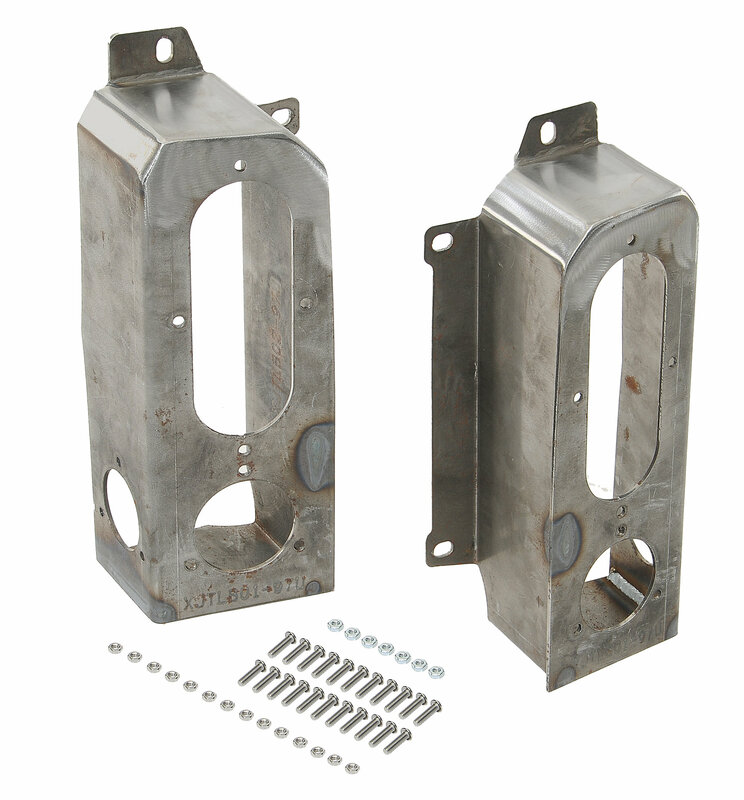 I try to make it work on my xj but it wont fit loke it should.